Potassium is an important electrolyte and the body needs the right amount of potassium to function properly during pregnancy. The correct fluid and electrolyte balance is essential for optimal health. Potassium plays an important role in muscle contraction, nerve impulse transmission and the production of energy from carbohydrates, fats and proteins. 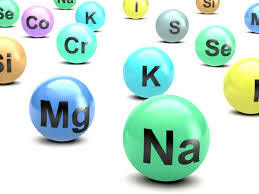 Sodium and potassium work side by side to maintain blood pressure. Low potassium levels are termed as hypokalemia. The symptoms of low potassium in pregnancy can be difficult to differentiate from normal symptoms of pregnancy. Low potassium levels can also lead to emotional disturbance and is linked to depression, hallucinations and confusion. There is enough potassium in your diet if you are eating properly. The main reason for low potassium in pregnancy is inadequate intake due to nausea and vomiting. If morning sickness is severe and you are unable to eat sufficient amounts of potassium, the levels of potassium in blood can fall. 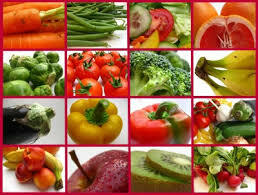 If there is excessive loss of potassium from the body as in case of diarrhea, the levels can go down. Certain medicines like diuretics and some antibiotics also lead to low potassium levels in the body. There are four main principles to treat low potassium. The aim is to restore the levels back to normal. It can be done by adequate intake, minimizing potassium loss from the body, treating the problem and to prevent further complications. To avoid low potassium in pregnancy it is essential to take adequate amount of electrolytes. The intake of electrolytes should not be less than 2000 mg every single day. The blood volume increases during pregnancy and due to this dilution the levels of potassium can become low. To avoid this effect take plenty of electrolytes. 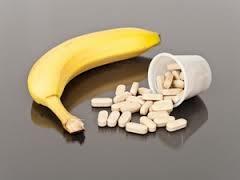 Potassium is also available as oral supplement. There are many forms, such as powder, tablets, syrups and capsules. Before taking these you need to discuss with your doctor. They can suggest if you need to take them to correct the low potassium levels and what is the correct dosage. Do not take any supplements to correct low potassium in pregnancy without discussing with your doctor first, as higher levels of potassium can be very dangerous. Mild low levels of potassium can be easily corrected by increasing the oral intake of potassium. 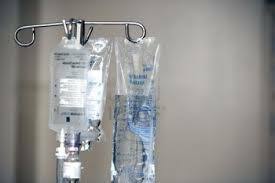 If the levels get too low intravenous administration of potassium may be required, in the form of a drip. Levels lower than 2.5 mmol/lit are treated with intravenous administration of potassium and extreme monitoring is required during and after the administration. Potassium can irritate the veins and high levels of potassium can trigger arrhythmias or irregular heart beat which can be fetal if not detected and treated promptly. It is crucial to monitor the potassium levels during pregnancy as low potassium in pregnancy can cause a lot of symptoms. Routine monitoring of this essential electrolyte can detect any abnormality at an early stage which can be easily corrected by increasing the oral intake of potassium rich foods. If the levels are too low, supplements can be advised by your physician. If your potassium levels are low during pregnancy, you should avoid any strenuous activity or physical exertion. The best way to prevent hypokalemia is to eat a balanced and nutrient rich diet and to contact the doctor immediately if the symptoms of nausea, fatigue and tiredness persist.